4 - 3521 Lower inner control arm bushing.  4 - 15.10.661.39 1.125 x .640 x 2.625" Sleeve. 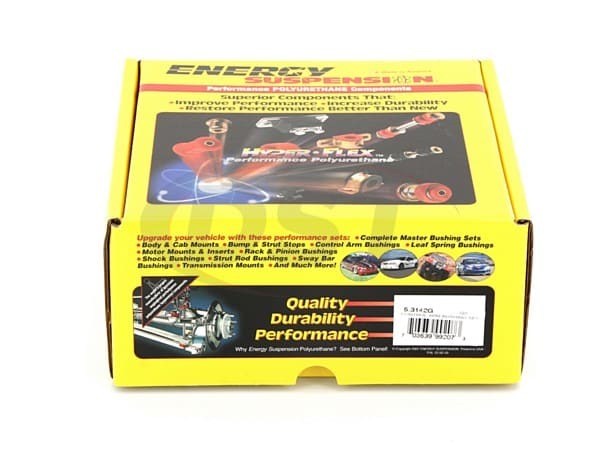 4 - 3523 Upper inner control arm bushing. 4 - 15.10.135.39 .875 x .563 x 2.390" Sleeve. 8 - 3522 Lower outer control arm bushing. 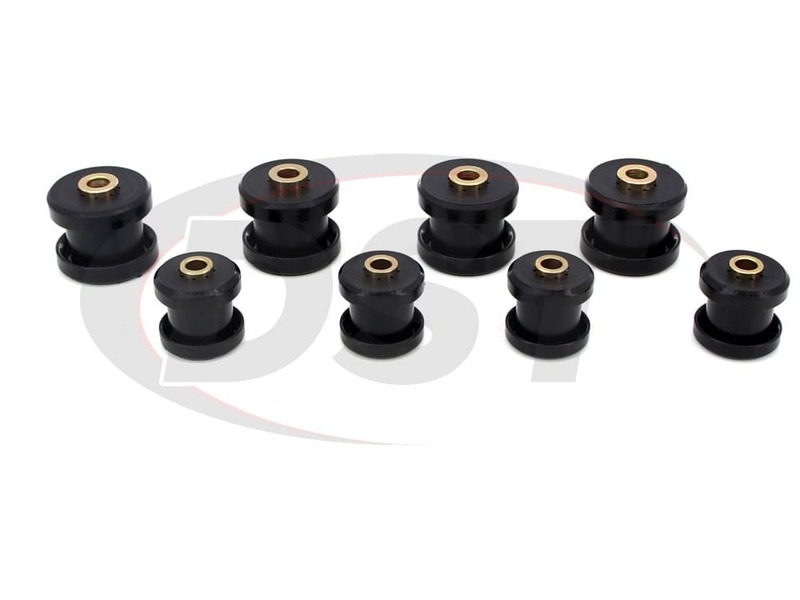 Once installed these bushings will eliminate your handling issues and, once you get your Ram re-aligned, they will maintain your Ram's alignment for a lot longer than the OE rubber could. Remember back in the olden days when you knocked down castle gates with a battering ram? ... Do you think those rams had bushings? Probably not, but DST knows your's does, and we know they aren't holding up to the constant battering of potholes and vehicle loads. 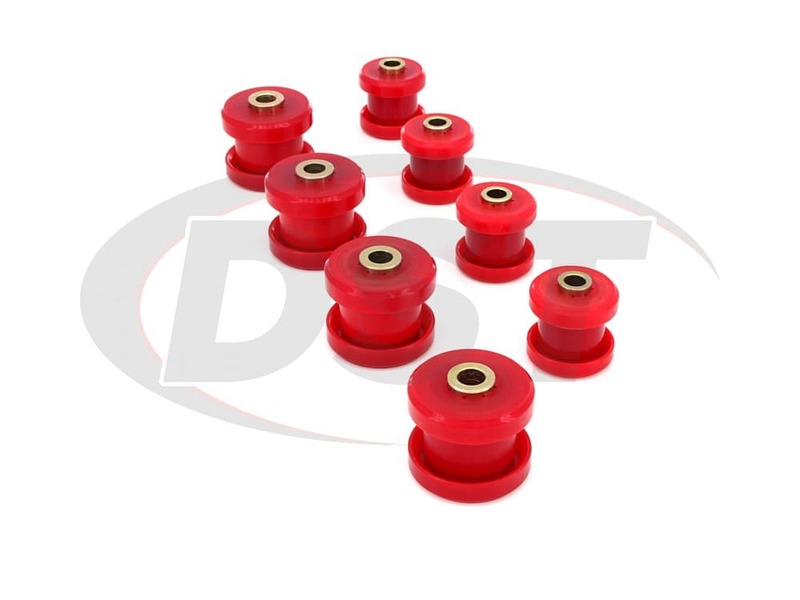 Poor handling and rapid tire wear have plagued Dodge Ram owners for a long time and odds are good that the parts responsible are your front control arm bushings. Out with the OE, in with the Poly. 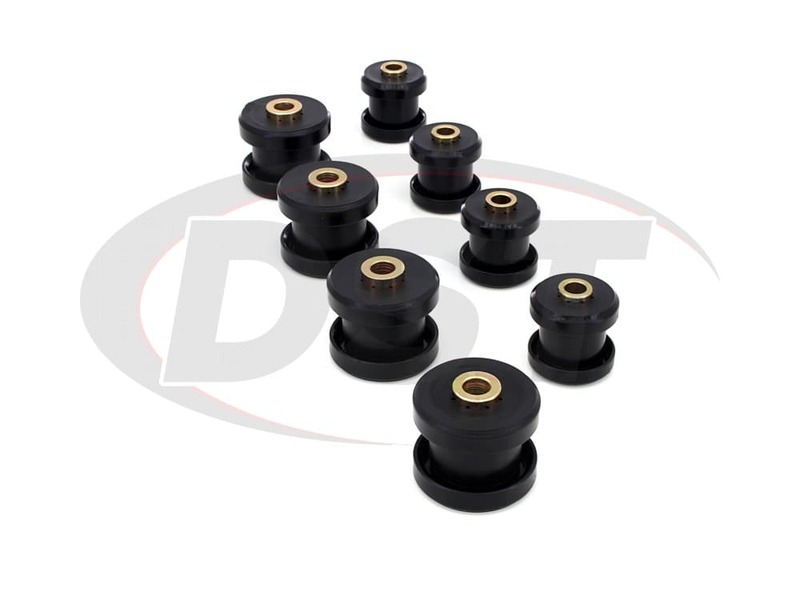 The OE bushings on your Dodge ram are made of a soft rubber that is prone to cracking and rotting. When this happens, your control arms become loose, severely affecting your steering and quite possibly distorting the alignment of your truck. Well your knight in shining armor can be found in Energy Suspension's 5.3142. 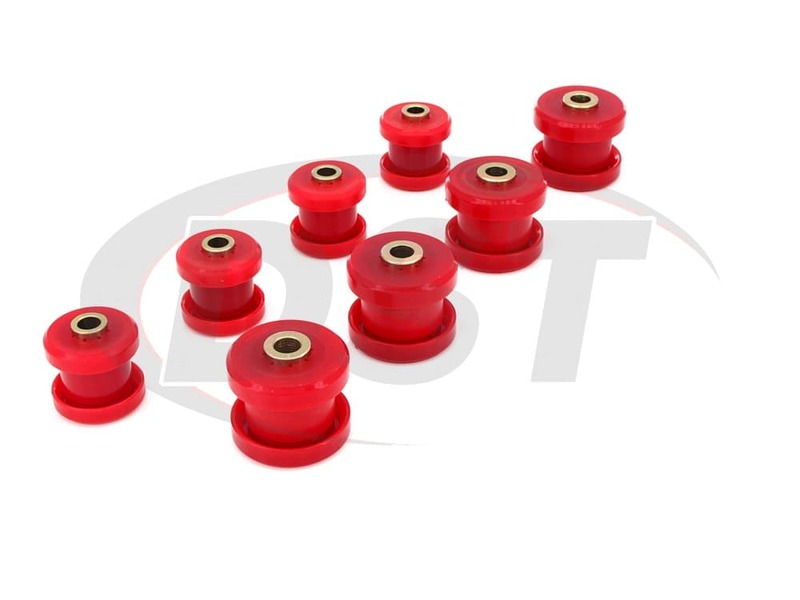 Crafted using Energy Suspension's Hyperflex Polyurethane, these Front Control Arm Bushings can withstand almost any impact, lasting much longer than those old gates... 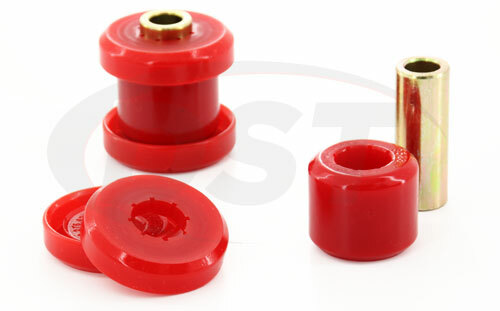 I mean bushings. Included in the 5.3142 we have bushings for both of the Upper and Lower Control Arms, therefore you only need to purchase one kit. 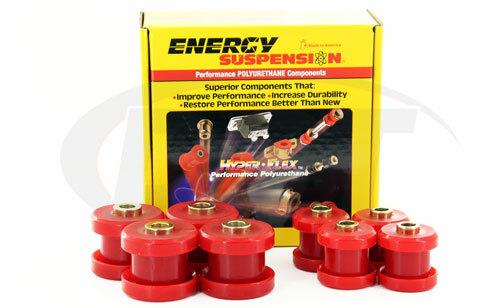 Energy Suspension designed the 5.3142 to be installed quickly and easily. Using a three-piece design instead of the usual one or two-piece, Energy has made this part even easier to install by eliminating the need for a press. Being in three pieces also allows Energy Suspension to change the durometer, or hardness, of each section. 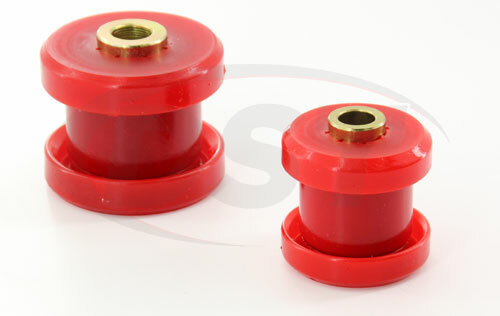 The top and bottom pieces of these Control Arm Bushings are made using a softer durometer in order to keep the arms centered while the inner bushing is much harder, allowing for some articulation as the suspension moves. 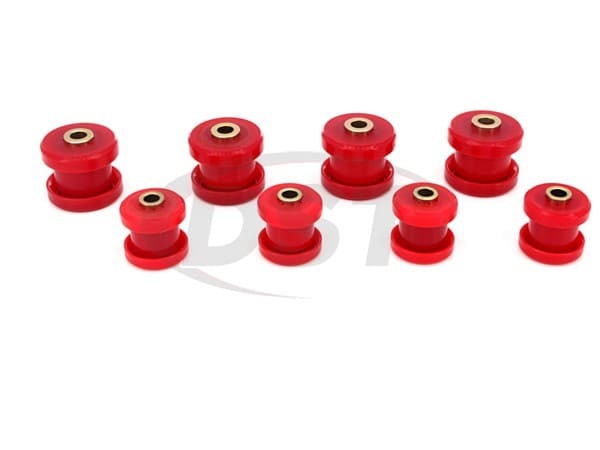 Once installed these bushings will eliminate your handling issues and, once you get your Ram re-aligned, they will maintain your Ram's alignment for a lot longer than the OE rubber could. There are two tubes of grease included for the install. Be sure to grease these up very well to avoid any squeaking, there is no such thing as too much grease. If you think you may need some extra grease, check out the 9.11110 3-pack. Both the bushings and the grease are stocked in our Stephenville warehouse, ready to ship the day you order it! starstarstarstarstar" Looks like a quality product. " These parts look exactly like the stuff that comes with a high end lift kit. After installing them on stock control arms I have two recommendations. 1 - You need a shop press. I couldn't imagine doing this job without one. 2 - Be ready to buy new cam bolts for caster adjusting location. Mine were rusted tight and needed to be cut off. Everything went back together smooth as silk. Can you deliver these parts number 5.3142 to Ukraine? Yes, we can ship any parts that we offer to Ukraine. Will part number 5.3142 fit my aftermarket control arms? No, part number 5.3142 will not fit any aftermarket control arms, it is a direct stock replacement.